This house is really incredible. 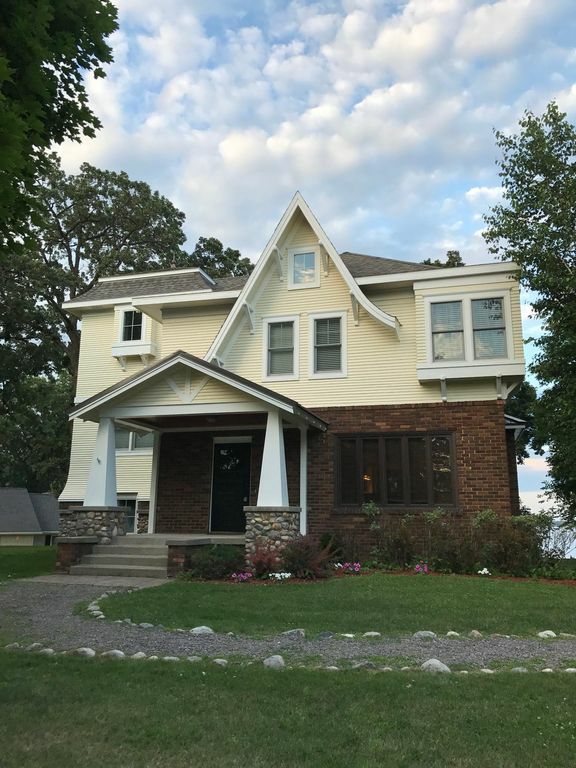 Built in 1914 and having just completed a one year renovation, located directly on Green Lake in the heart of Spicer, this house will provide a vacation experience like nothing else ever offered in this area. The house is tastefully decorated with all new furnishings. There are 5 bedrooms and 3 full bathrooms. If you want to stay connected to the outside world, you can watch your wall mounted big screen TV or log on to your wireless connection. Outside you can enjoy your large deck facing the lake, or hook up your boat to your private 60' dock, or just hang out on the shoreline. There is a park adjacent to the house which has a large play area for children. There are a number of restaurants within walking distance too. This home is stunning. We recently stayed at this property as a family. The home is inviting and will accomidate all ages. There are two large bedrooms on the 2nd level and a 3rd level room with five twin beds. The location is great, with a fun city park right next door and downtown a two minute walk. The yard is large with an outdoor fire ring. We brought our motor home and there was plenty of room to park it at this property. I was quite impressed with the furnishing of this lovely home. They have remodeled it with great taste, yet keeping comfort in mind. Well done. A relaxing and enjoyable week's vacation. This home was exactly as represented on the website. The home is iimmaculately maintained. The three generations of us who stayed here thoroughly enjoyed the week's experience. We hope to return. Any questions we had were answered promptly by the owner.